low density, roof and floor screeds (cement and bitumen based) - Vermiculite, coated with a bituminous binder, can be used as a dry, lightweight roof screed. This type of screed has the advantages of low thermal conductivity, low moisture content and ease of placement. lightweight and insulating concretes - Vermiculite concretes are lightweight, have good insulating properties and are intrinsically fire resistant. Vermiculite concretes may be used for insitu roof and floor screeds and in the fabrication of pre-cast products. Vermiculite concretes can also be used around back boilers and as a fire back support material. loosefill Insulation - loosefill vermiculite can be used between joists in lofts for home insulation. The free flowing properties of exfoliated vermiculite make installation very simple. The insulating properties of vermiculite significantly reduce the loss of heat in cold weather and keep the interior cool in hot weather. It also functions as a sound absorbent material. fire Protection - Vermiculite is recognised as a material particularly suited for fire protection. Vermiculite-based products range from factory made boards and panels to premixed coatings suitable for application by mechanical spray or by hand plastering techniques on a range of structures. These coatings have been used in the petrochemical industry and tunnel construction. refractory Products - Vermiculite for refractory and high temperature insulation is normally bonded with alumina cements, fire clays and silicates to produce a wide range of vermiculite products which, depending on type and application can withstand hot face temperatures of up to 1,100 °C. 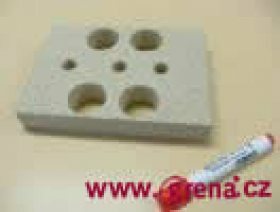 The type of refractory products made using vermiculite are: pre-fired clay bonded insulation firebricks, castable high alumina concretes for back up insulation, high alumina bonded bricks, slabs and special shapes, silicate bonded insulating shapes and moulded products. 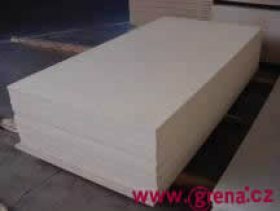 pressed vermiculite block insulation can be used in high temperature kilns, furnaces, combustion plants, boilers, wood burning stoves and night storage heaters. It is becoming more widely accepted as an alternative for asbestos or man-made mineral fibre insulation. The units can vary from simple blocks to very intricate shapes designed to accommodate electrical elements, fixing screws etc. 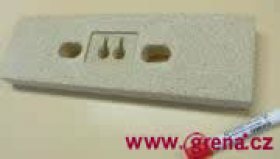 vermiculite Plasters - Vermiculite plasters can be made with either gypsum or Portland cement. The advantage which all types of vermiculite plasters give over conventional plasters are: improved coverage, lighter weight, improved workability, excellent fire resistance, reduced thermal conductivity, improved adhesion to a wide range of backgrounds, increased resistance to cracking and shrinkage.Vermiculite Plasters, either gypsum or cement, can be applied manually or by spraying. As it is non-abrasive filler, it is suitable for spraying and sprayed walls look very decorative. insulation in Steelworks and Foundries - good thermal insulation, low density and its natural refractory properties combine with ease of application to make vermiculite a highly suitable material for use in steelworks and foundries. It is used for hot topping molten steel to reduce heat loss from ingots and ladles and generally as a loose-fill insulator. 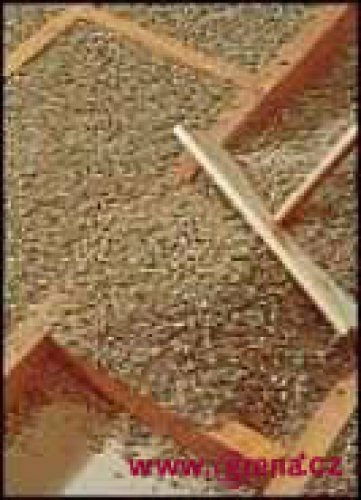 friction Linings - Vermiculite is now used extensively in the friction lining industry (eg. brake and clutch linings) as a safe alternative to asbestos, and plays an important role in this field. Vermiculite is well established as a growing medium. It is most commonly used in compost formulations, usually in combination with peat or coir. 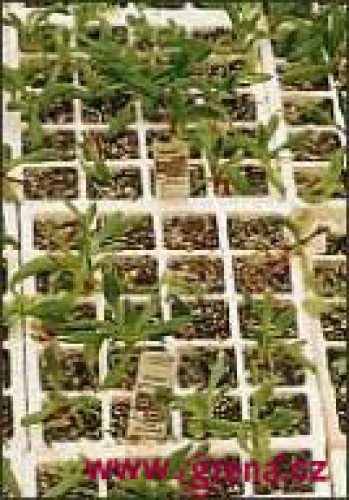 Vermiculite/peat or coir compost formulations provide ideal conditions for plant growth. The presence of vermiculite particles in the compost aids aeration, improves moisture retention and promotes the steady release of added fertilisers, whilst the vermiculite itself contributes potassium, magnesium and a number of minor elements. The air/water ratios for vermiculite/peat or coir composts are ideal for the stimulation of root growth, and hence the production of healthy young plants. The vermiculite is sterile when processed. If stored correctly it will need no further treatment before incorporation into composts. Vermiculite can also be used as a carrier and extender for fertilisers, pesticides and herbicides. It is also used in a ground form for encapsulating seeds. Exfoliated vermiculite can also be used as a packing material for storing fruit, bulbs and tubers. animal feedstuff additive – vermiculite is free flowing, soft, sterile and absorbent. This means it has found a role as a support and carrying medium for a range of nutrients such as fat concentrates, vitamin preparations and molasses. The use of vermiculite gives a high volume yield and accommodates a high liquid uptake whilst retaining good handling characteristics, so simplifying the process of mixing with other materials. packing materials - exfoliated vermiculite is a useful packaging medium. Not only is it lightweight, clean and easily poured around irregular shaped objects, it also provides a good baffle against shocks caused by impact and improper handling. Being highly absorbent, it safely retains leaks from packed materials such as hazardous chemicals. As it is inorganic it does not present any potential fire hazards. Exfoliated vermiculite can also be used as a packing material for storing fruit, bulbs and tubers. Vermiculite degrades naturally, so is easily disposed of. Being soft and non-abrasive it has also been used effectively for insulation and cushioning the base of plastic-lined swimming pools. chemically processed vermiculite - chemical treatments can cause the layered structure of vermiculite to expand or delaminate, producing very high aspect ratio particles. Such dispersions play an important role in the coating of both organic and inorganic fibre products. This treatment substantially increases the thermal stability of fibres. A whole new family of vermiculite products can be generated by varying the chemical process. It is possible to produce flexible films, papers and coatings, and to make specialised additives for various industries. Developments in this area of research have indicated that it may be feasible to manufacture complex silicate structures which, when polymerised, would form inorganic analogues of organic polymer systems with unique properties of flexibility and fire resistance. processed vermiculite - vermiculite may be milled before or after exfoliation according to the range of particle sizes required. Such milled or ground material may be used for the production of anti-drumming coatings; condensation control paints; high performance gaskets and seals and for upgrading the fire resistance of organic foams and other polymer based systems. Exfoliated vermiculite can be coloured to suit its end use (eg. retail display).